For the last five seasons, the Los Angeles Dodgers have won the NL West only to come up short in the playoffs. Following October’s World Series heartbreak, just how does a championship caliber team bounce back? 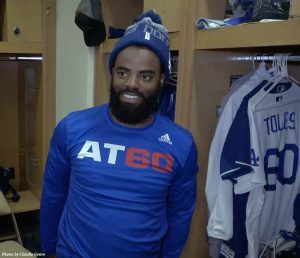 With the exception of the team being plagued by a flu-like illness that affected at least 24 staff members at the start of spring training, the Dodgers (6-5) are back in the swing of things, currently riding a four-game winning streak. “We’re not looking back on how we finished last year. 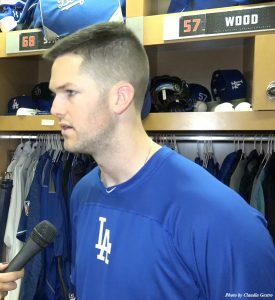 We’re looking towards the future in this season and hopefully we’ll be able to finish it out this year [with a World Series],” said Alex Wood in an interview with reporter Claudia Gestro. The Dodgers formidable offense is in full effect, edging out the White Sox 7-6 on Friday. They breezed past the Diamondbacks Saturday with a 14-6 win and routed the Giants, 9-3, on Sunday. Yasiel Puig led Sunday’s onslaught with a double and a single. Logan Forsythe also tallied two hits, and Yasmani Grandal belted a home run. After Monday’s 8-1 victory over the Indians, forlorn fans have something to be hopeful about now that the team is coming back with a certain grit and tenacity needed to contend for a championship. Left handed pitcher Rich Hill had a solid start recording four strikeouts in three innings, while allowing one run on one hit with no walks. Offensively, the team hammered four home runs that included a solo shot in the seventh inning by Matt Kemp, his third of spring training. 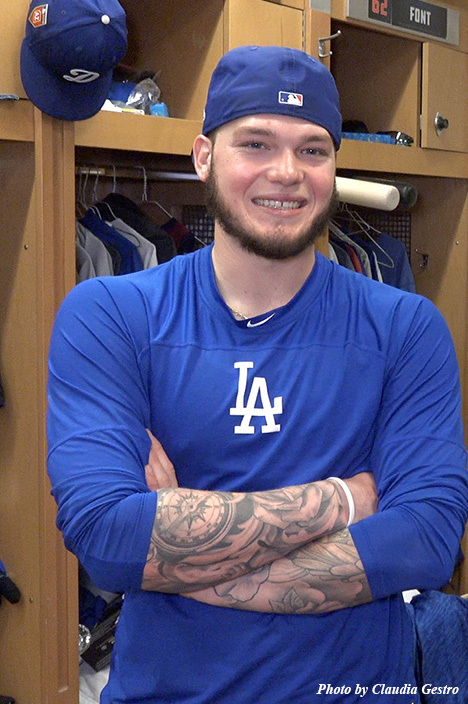 Yasmani Grandal, Alex Verdugo and D.J. Peters also homered. 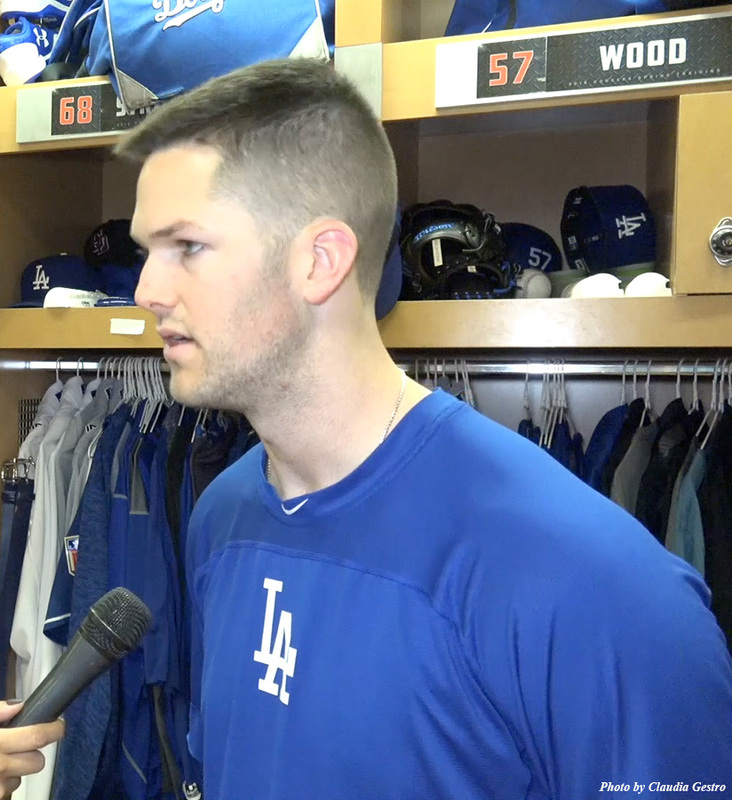 “I feel good about the youth, the pitching that we have coming back, the veteran guys coming back and bringing in guys like Tom Koehler and Scott Alexander in the pen too,” Dodgers Manager Dave Roberts said. Despite Roberts’ optimism, the ball club still has some holes to fill after Kohler’s arm issues worsened during Saturday’s game versus the Diamondbacks. The injury was later diagnosed as a mild strain of the anterior capsule, and Koehler will start the season on the disabled list until the strain heals. The unknown length of the reliever’s absence does alter the game plan for the team since the ball club signed Kohler with the intention of him being a dominant reliever and setup man for closer Kenley Jansen. One probable option could be Alexander. The southpaw finished the 2017 season with a 2.48 ERA with the Royals. He also led the league with a 73.6 percent groundball rate. While the hole is one that urgently needs to be filled, it doesn’t exactly raise a red flag just yet for the team. The Dodgers have a plethora of pitchers to choose from in what is projected to be an elite eight-man bullpen. “I think that in the pen there’s a tremendous amount of depth,” said Roberts. Aside from Jansen, right-handers Pedro Baez, Ross Stripling, Yimi Garcia and left-handers Tony Cingrani and Scott Alexander seem set for the bullpen. Because of the unknown timetable for Koehler, pitchers like Adam Liberatore, Josh Fields, and Wilmer Font have the opportunity to make the roster. Pitching changes aside, the team has made one thing clear: they are dead set on winning the World Series. An avid sports fan, Brenda grew up rooting for the Los Angeles Dodgers, Lakers and Kings. In her spare time she enjoys wandering through LA in search of the best burger in town, frequenting concerts, running 5K's, dominating in Super Shot Basketball, and spending time with her four brothers. Raised in the Inland Empire, Brenda has previously written for The Press-Enterprise, in addition to their Spanish sister publication, La Prensa. She holds Bachelor of Arts degrees in both Communications and Spanish from Cal State San Bernardino. Contact the author. Kamala Harris has a record as a prosecutor: How will it play with progressive voters?